Distressed denim is certainly an on-trend style for every season and gives any look a laidback, cool-girl feel in an instant. 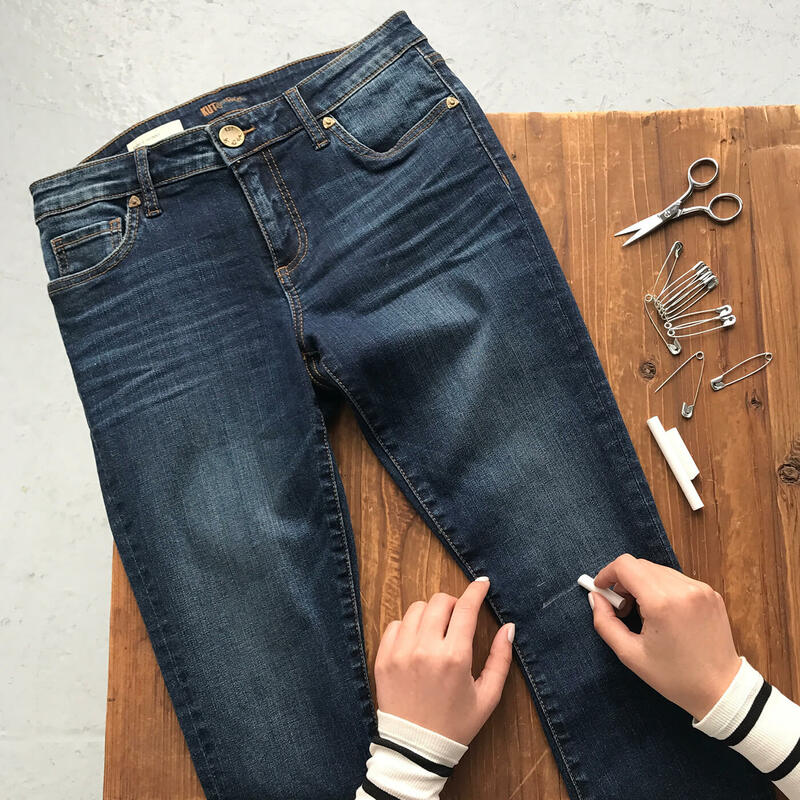 If you’re looking to take your everyday denim from plain to personalized, grab your sewing scissors, tweezers and sandpaper (yes, sandpaper!) for a little DIY distressing at home. 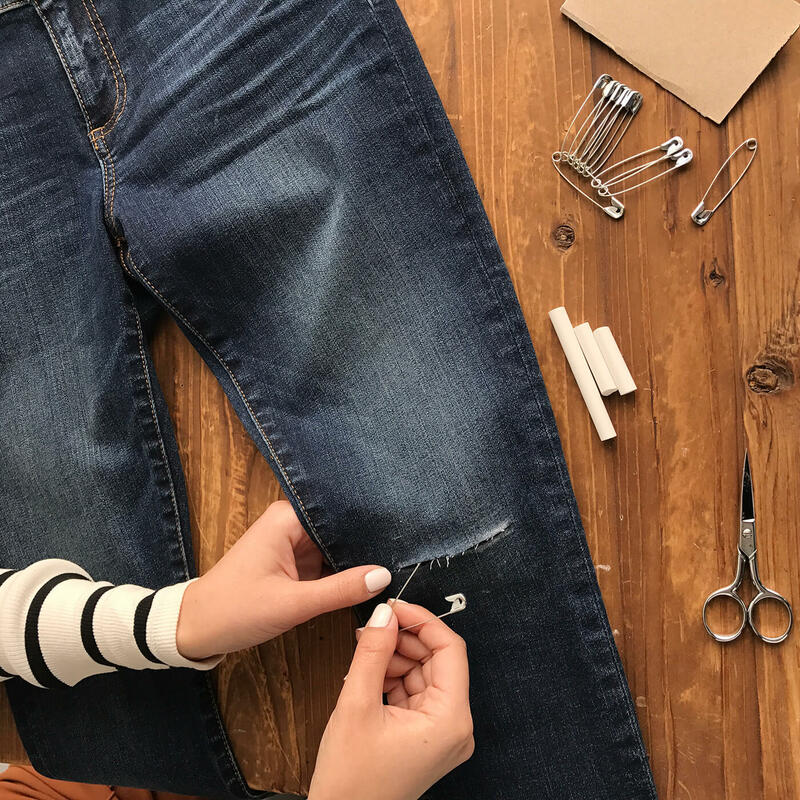 Pull out your favorite “I think I’ll wear these again” jeans that have been hiding in your closet and get ready to give them new life. You’ll want to start by trying them on and use a piece of chalk to mark any areas you’d like to distress. Think knees, thighs and near the pockets. Don’t forget the back! For an added fade, use your sandpaper to rub over these areas (once removed!) for a more intense, worn-in look. Next, cut horizontal slits (about half an inch to an inch apart) in the areas you’d like your rips and distressing. Feel free to mix up the lengths of each slit for a rougher look. Next, you’ll then want to use your tweezers or a safety pin to pull out any threads from each strip you created. Try flipping the strips over where you’ll see threads that run side-to-side. Now loosen them! You can tweeze and pull out threads in each strip or leave one strip left untouched for variety and interest. 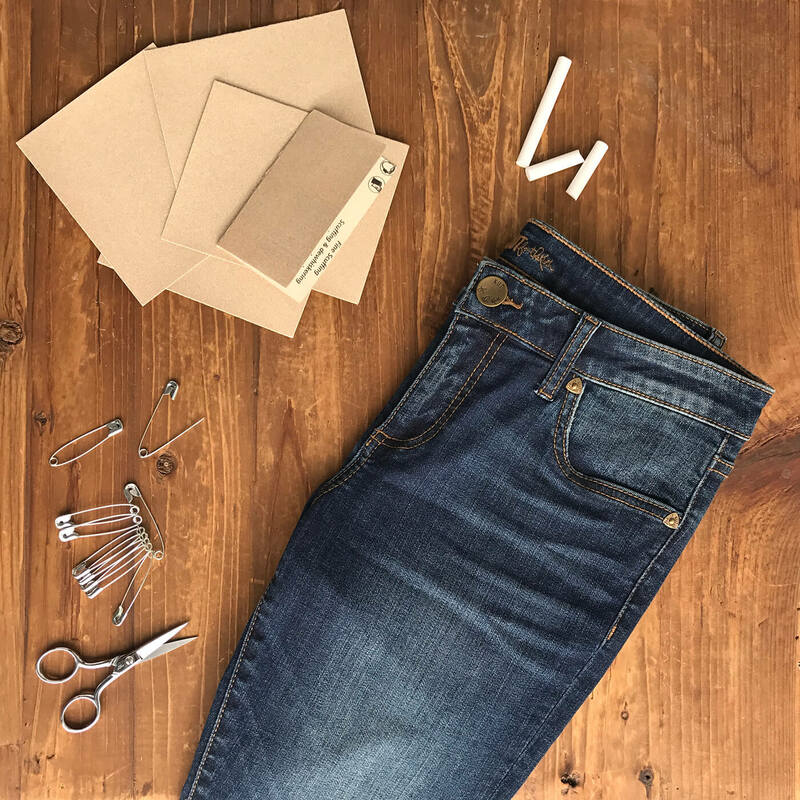 Once you’ve cut and tweezed all of the areas you’d like your distressing to be, turn your jeans inside-out and toss them in the wash on cold to “set” your distress. And voila! DIY distressed denim and an old pair of jeans turned new. Now, see 5 new ways to wear them. 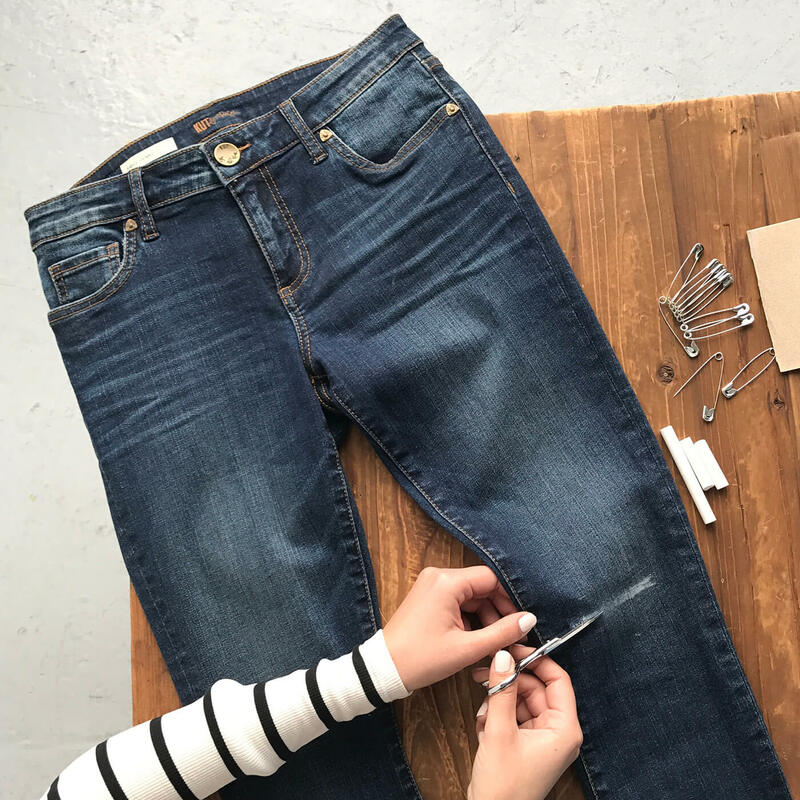 Have any other tips for distressing denim? Tell us!